The EcoSphere is a completely closed, balanced, glass ecosystem. Inside each EcoSphere are shrimp, algae, and microorganisms in salt water. 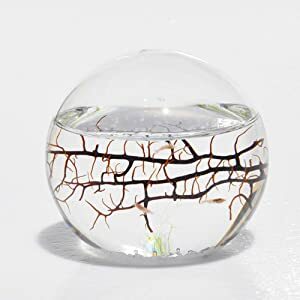 Because the EcoSphere contains everything it needs to thrive, you never have to feed the life within, or change the water. All that is needed is a comfortable room temperature (between 65 and 80 F) and a source of light. 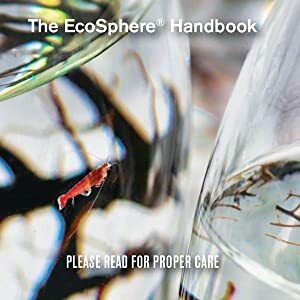 Each EcoSphere comes with a handbook detailing how to take care of the EcoSphere. Also included is an outer cleaning magnet that, when matched up with the magnet inside the EcoSphere, can be used to clean the inside of the EcoSphere. The EcoSphere contains active marine shrimp that feed on the algae inside the EcoSphere. 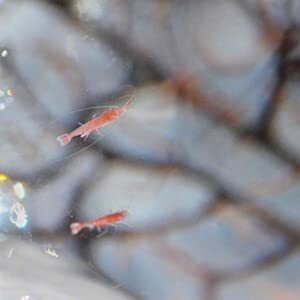 Each model of EcoSphere contains a certain number of shrimp based on the interior volume. Ecosphere Associates, Inc. is a family run business based in Tucson, Arizona. 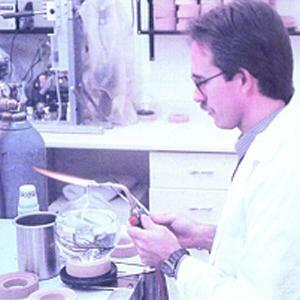 From startup in a small office complex Ecosphere Associates, Inc. has grown to a successful global company with manufacturing partners around the globe. To date, almost 1 million EcoSpheres have been manufactured.